One of the alleged shoplifters. 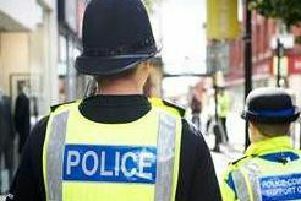 Police are appealing for information after items were allegedly stolen from a Clitheroe chemist. They have released CCTV images of the suspects who are alleged to have shoplifted the items from Boots chemist, Castle Street, yesterday (Thursday). Anyone with information is asked to contact the police on 101 quoting EG1606055.